Bandai Tamashii Nations has updated their website recently revealing the complete details of the S.H. Figuarts Sailor Neptune and Uranus. 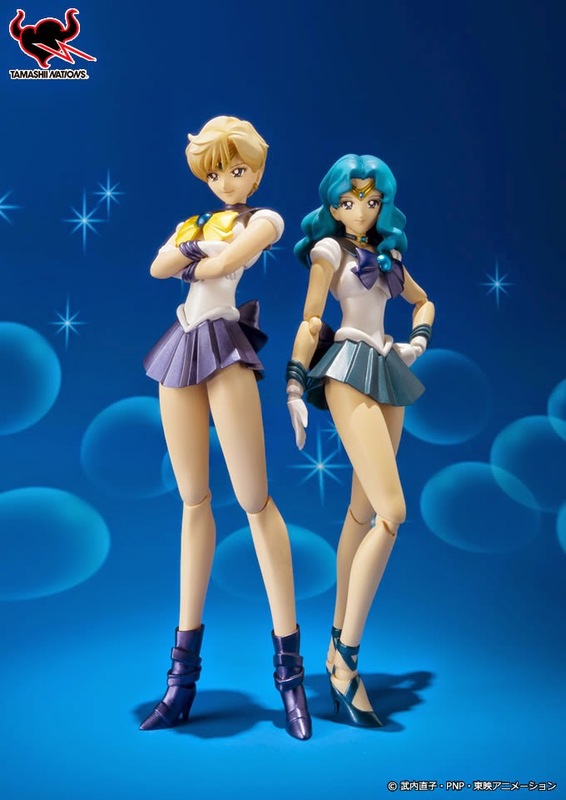 S.H.Figuarts Sailor Uranus is due to release in December 2014 while S.H.Figuarts Sailor Neptune is slated for January 2015 distribution. Both are priced at 4,860 yen each and will be released as Tamashii Web Shop Exclusives. The S.H.Figuarts Sailor Uranus will be inclusive of the Space Sword, 13 hand replacements, 3 face parts and 1 extra Sailormoon face replacement with hearts on her eyes. S.H.Figuarts Sailor Neptune will come with 6 extra hand parts, 3 face replacements, and the Deep Aqua Mirror.